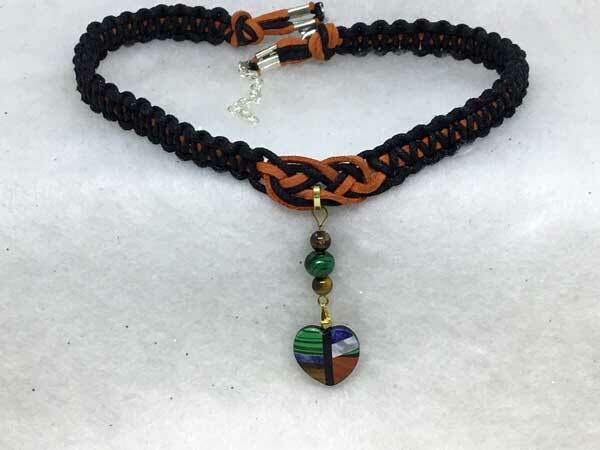 This piece is made with waxed cord in combination with suede cord in black and burnt orange. The length can vary from about 16 1/4 to 19 1/4 inches with a center jeweled piece that adds 2 1/4 inches. Since the inspiration was the color-block heart in varied natural stones, I decided to compliment it with some natural stone rounds, using two small tiger-eye and a larger malachite.